KUALA LUMPUR (Sept 11): YTL Corp Bhd is in talks with India's Hyderabad-based NSL Group to buy up to 49% stake in the latter's thermal power business, The Economic Times reported today. Quoting a person with direct knowledge on the proposed deal, The Economic Times reported that talks between YTL and NSL were already at the advanced stage. “The talks between YTL Corp and NSL group for 49% stake in NSL Orissa Power and Infratech are now at an advanced stage and due diligence process is currently going on. “The deal could be entered at little over par of investments brought in by NSL promoters and YTL may pay premium payments over the next few years based on milestones,” said the source. 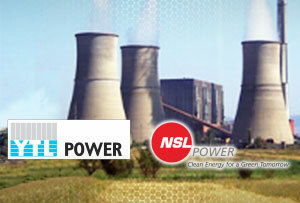 NSL Orissa Power is setting up a 1,320 MW coal-fired power project in Orissa's Angul district. The project involves an investment of around Rs 8,000 crore, which is being funded through debt equity of 70:30, noted the Indian daily newspaper. “Apart from acquiring land for the super critical thermal power project, the company has also obtained all the clearances and awarded engineering, procurement and construction (EPC) contract to Tata Projects,” The Economic Times reported. The source said YTL was also in talks with NSL group to buy a majority stake in the operations and maintenance arm of the Orissa project. NSL group Chairman Mandava Prabhakar Rao was quoted as saying earlier that the group was planning to sell the 49% stake in its power arm to raise funds. He did not elaborate. According to the news report, NSL has an operating renewable energy portfolio of 185 MW and is implementing a further 1,000 MW of renewable energy projects, where several global investors picked up stakes by investing over $60 million. NSL's website shows that the group started in the mid 1970s with a seeds company and had diversified into a variety of agriculture-based businesses, besides infrastructure and power.